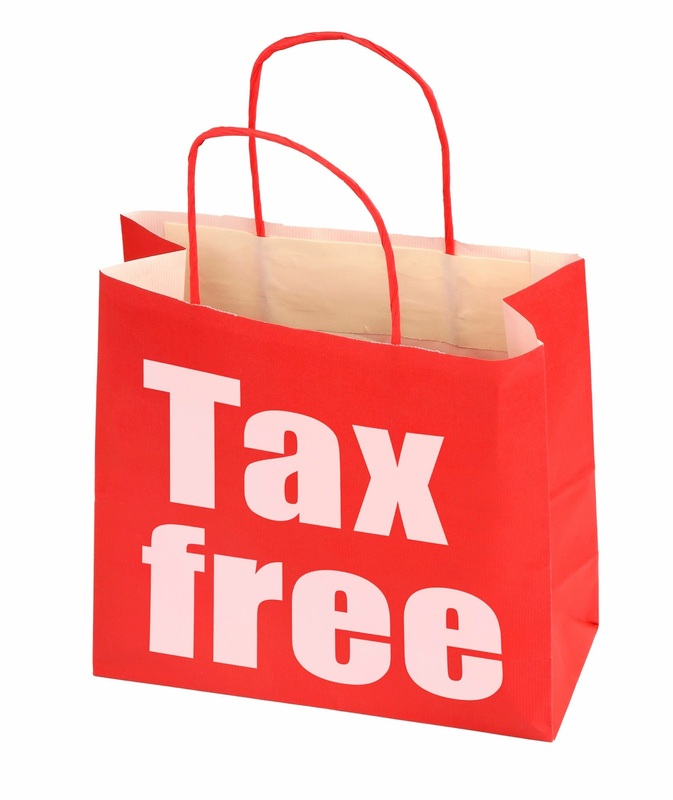 Tax-free weekend will end this Saturday (8/15/15) for Marylanders. It's a heady rush, getting our Black Friday fix in the sunshine of August The kids are ready to head back to school with new clothes (that they don't yet hate) and school supplies (they haven't yet lost). But what about the people who missed out? What about the kids who just need one more thing? What about mom and dad who deserve a tax-free spree, too? 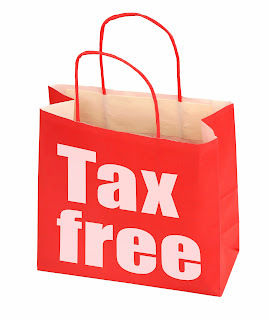 Is there a way to shop tax-free every weekend without ending up with the IRS coming after them? The answer is yes, you can shop with a 10, 15, or 20 percent discount every day and do it without breaking the law. Some of our favorite tips for keeping costs down are below. They also come with a plan for turning your shopping savings into long-term savings, because it's not enough to keep money in your pocket, you'll want to put it to good use, too. When you're done reading, hit up our Twitter feed or Facebook page to share your favorite tips and post pictures of your best hauls. Bring your smartphone. Don't buy anything in a brick and mortar store without pricing it online first. If you're the kind of shopper who frequently buys on impulse, just bring your smartphone and do a few searches of the most likely places you'd find the item you're looking at, like eBay, Zappos or the website for the store where you're shopping. The Amazon app even lets you scan a barcode with your phone's camera and does the searching for you. You can save a lot with this simple 30-second step. Shop for used gift cards. We all know the feeling of getting a gift card we'll never use. Well, a variety of websites offer a place for people to sell their unwanted gift cards, often for well below the face value of the card. Everybody wins: The seller gets some value out of a gift card that would otherwise be sitting in a junk drawer and the buyer gets a nice discount. So, before you check out online or in-store, search Gift Card Granny and Gift Card Zen. They have some gift cards that will transfer to you in five minutes or less, allowing you to save 10-15% right away. All gift cards are backed by the site, so you don't have to worry about scams. For many of the big chain stores like Target and The Gap, those online codes work in store as well, so you can save money while you wait to check out. Clear your cookies. Retailers are smart, so they know that getting you to make a quick purchase on your first visit means they'll probably get you to shop at their store for life. They'll offer you a coupon for 10 or 20 percent off of your first purchase if you sign up for promotional emails on your first visit. Those offers often expire within 24 or 48 hours. As smart as retailers are, their websites are not quite as intelligent. It's easy to make websites think it's your first visit so you can get that coupon every time you visit. All you need to do is visit the site from a different browser than you usually use. If you don't have more than one web browser, you can download Chrome, Mozilla or Opera for free, and use that for this trick next time, too. Sometimes you just have to use your phone. If none of that works, try clearing your cookies and browser history. Then, all you need is an email address you haven't used at that site, and most of us have a few of those just waiting to be used. Turn your everyday savings into long-term savings. It's great to save a few dollars every now and then, but it doesn't always feel like you're really getting anywhere. But you were going to spend that money anyway, so if you put it in savings, it wouldn't be a sacrifice. 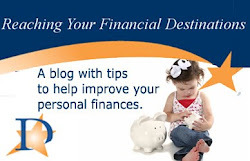 You can pull up our website at www.destinationscu.org or use mobile banking and transfer that money to savings before you even leave the store. If you put an extra $25 away every month, that's $300 per year ... without really trying! If that seems like a lot of work, you can also work the gift card trick into your monthly budget. If you normally spend $25 per month on coffee, buy a $25 Starbucks gift card online from Gift Card Zen for $20 at the the beginning of the month, then put $5 into your savings. Now you've got the savings and an easy way to stay on budget. The gift card can go into their app so the whole family has it on their phones - it's like Starbucks is paying you $5 to make your life easier. You can do this for all the places you shop. For instance, do you budget $100 for clothes, $300 for gas, $50 for eating out, $25 for coffee and $25 for movies each month? If you get gift cards for those stores at 10 percent off, you'll save $50 each month, totaling $600 per year. If nothing else, you can put that in one of our Holiday Club accounts and have it at the ready to take care of your holiday shopping!